Learn solid guitar technique and rhythm as you work on popular, rock, and contemporary music. Great for all skill levels! Vocalists and other musicians are welcome – if you’re a drummer, keyboardist, singer, or bass guitarist, come join the band! We’ll have a concert on the last day! 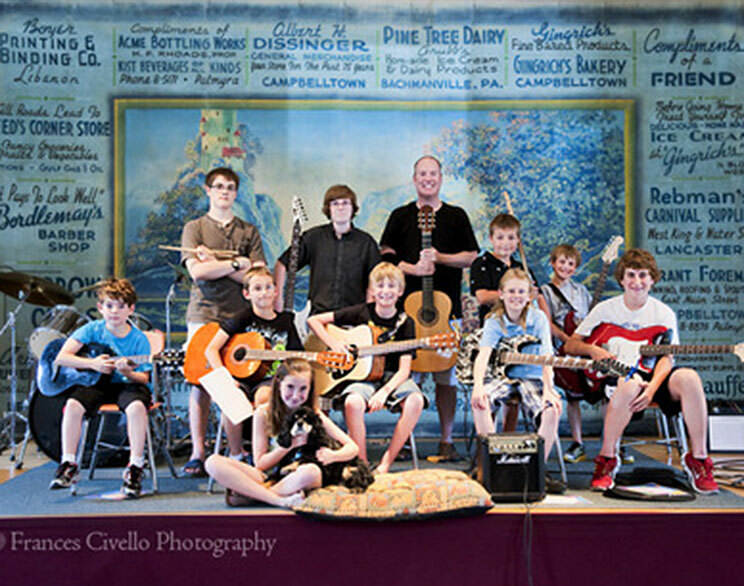 For more information contact ACAC at (717) 334-5006 or info@adamsarts.org. Prospective students can ask about need-based scholarships by calling (717) 334-5006 or email aa@adamsarts.org. 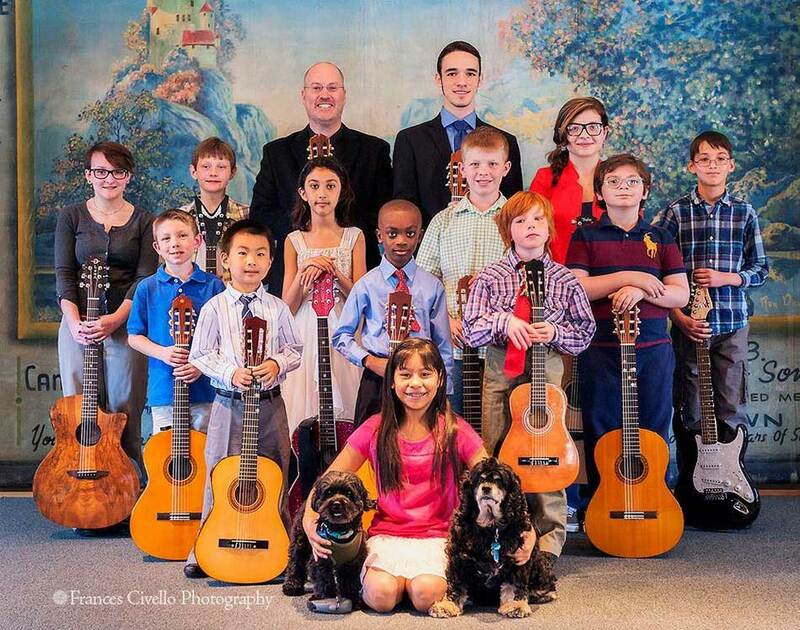 The 2017 Guitar Recital is scheduled for Sunday, May 7th @ 2:00PM. Please contact Mark at (717) 554-6429 or markwesling@startmail.com for more information. Meet Mark Wesling. As a young man, he studied engineering and business. 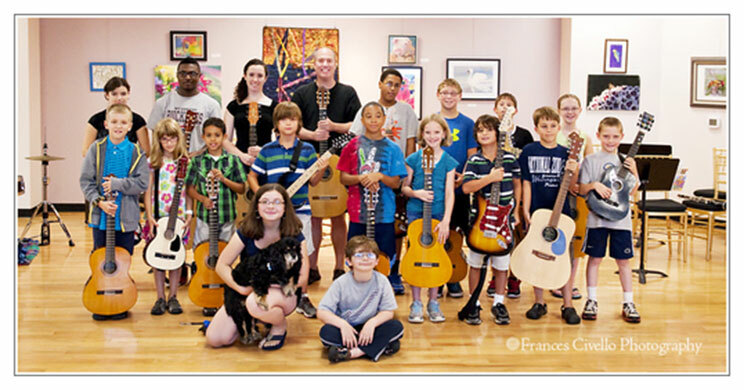 Today, he teaches and plays classical guitar, produces music and paints. And, he says, he can’t imagine doing anything else. Mark Wesling sits on a chair in his apartment and makes magic with a wooden box. The box is of bearclaw spruce and Brazilian rosewood. A box, yes, but not square. It is shaped elegantly into sort of an hourglass. A set of six nylon strings are stretched at perfect tensions down across the spruce top and along a fretted board jutting from one end of the box. Wesling’s fingers move easily, teasing the strings, his left hand dancing almost as an independent being along the neck of the guitar. From the box of polished wood and perfect tensions arises “Jesu, Joy of Man’s Desiring,” one of Johann Sebastian Bach’s 200 surviving cantatas. The piece is nearly 300 years old. We have a special musician among us in Mark Wesling, whose sensitive presentation of much of his own guitar music holds its own anywhere. After listening to a couple of songs in this album one is struck that there are no gimmicks, either technical or musical. It is straight-ahead talent demonstrating courage with no masks. Wesling, whose has played extensively in the Harrisburg area, recently relocated to West Chester, where he writes and teaches and also displays a sophisticated talent for the graphic arts, some of which is included in the album jacket. He separates this album into three areas including popular classics, his own compositions and an 8-part Divertimento for Guitar “Blessings of a Broken Heart” which he wrote in Harrisburg in eight days. As a showcase for his thoughtful, uncompromising musicianship, Mark Wesling’s “Dream Dance” is certainly an effective marketing tool. You could not listen to this impeccably recorded CD and not be impressed. Wesling, who has performed extensively in the Harrisburg area, moved to West Chester recently and is beginning to make himself known here. 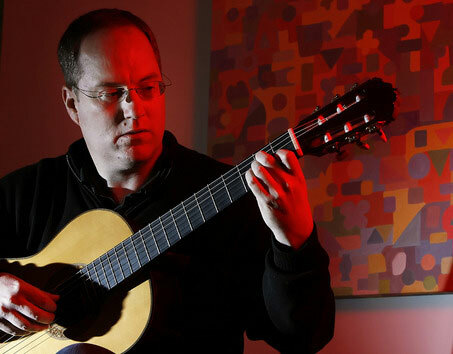 “Dream Dance” is a lovely introduction to his reserved, respectful approach to classical guitar repertoire, spanning the instantly recognizable “Jesu, Joy of Man’s Desiring” by Bach to new selections by Fernando Sor (Opus 35 No. 22 and Opus 35 No. 18) and Andew York (“Snowflight” and “Willow”).